The very first thing you must do to become a great putter is you MUSTlearn to love and enjoy putting. If you don’t find out how to love and enjoy putting then you’ll never become a great putter. Trust me, this is the first and most important fundamental of putting. So anytime you’re faced with a putt that you’re NOT looking forward to then it won’t matter if you have a perfect stroke or you’re a great green reader etc. because you’ll never putt consistently to a high standard if you have a negative attitude like that. But great putters don’t only love and enjoy putting but they also believe and see themselves as great putters. Conversely average or poor putters see themselves as streaky putters or bad putters. And the main reason I believe average/poor putters have a bad self image about themselves is because they “choose” to focus on the putts they’ve missed rather than the putts they’ve made. Sadly it’s impossible to gain self-confidence about anything if you’re focusing on the things that didn’t turn out how you wanted. And talking about confidence, it’s obviously crucial that you have a lot of self-confidence if you’re going to become a great putter. But as far as confidence is concerned you must understand that there are two types of confidence that can be created. The first one is external confidence. And the extent of your external confidence is governed by what is happening outside of yourself. For example, if you’re holing lots of putts you will generally have high external confidence. But external confidence comes and goes depending on what is happening. For example, if you’re putting well you’ll have high external self-confidence, but if you’re not putting well then your external self-confidence will be low. The catch 22 with external self-confidence is that you’re basing your confidence on something outside of your control, i.e. putts going in the hole. Look, the only thing you can control in putting is the starting line of the putt and the speed which the ball starts. Whether or not the ball goes in the hole is out of your hands. So having external confidence is NOT very good. Instead it’s much better to have internal confidence as this isn’t dependent upon results, but funnily enough it produces better results. It’s a deep belief about something, and that deep belief can’t be taken away from you by outside events and circumstances. This type of confidence is built up over a period of time. An example of this outside of golf is a parent. You see, if parents constantly tell a child they love them and show physical affection to that child then over time that child will have a deep belief that their parents love them. So if that child is disciplined for doing something wrong then that shouldn’t stop that child from believing that their parents love them. So…you need to create a deep belief like this for your putting game. That way, no matter what happens you’ll believe you’re a great putter. And when you gain internal confidence you will not be so tempted to make big changes to your mechanics even if you were to miss a lot of putts in a game. If you look at great putters you won’t very often see them change anything about their mechanics. Also you’ll often see great putters using the same putter for many years. Because you should only ever change a putter if it no longer matches or enhances your setup and stroke, or if there is some technological advancement that warrants a change. But I doubt that is ever going to happen in the putting game because a good putter now will remain one for many years. Another thing great putters believe is that they can hole every putt. Of course they don’t hole every putt, but they do hole a lot more putts than the golfers that believe they can’t hole every putt. So if you want to become a great putter you must think, act and fully believe that you can hole every putt you’re faced with. The final thing that all great putters believe is that their putting strokes are solid, repeatable and they trust them 100%. If you doubt your putting stroke or you change your putting stroke a lot, that’s a sure sign you don’t trust your putting stroke. You must believe you’re a great putter no matter whether you hole a putt or not. 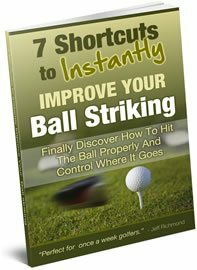 You must believe your putting stroke is smooth, reliable and consistent so you trust it 100%. And finally on this topic of mental toughness/attitude, when you’re stroking your putts on the golf course you should NOT focus on anything mechanical. 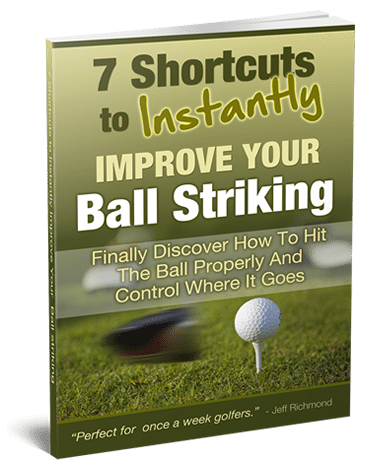 You should simply putt the ball automatically with your subconscious mind. A non-golf example of using your subconscious mind to perform a physical activity is driving a car. Because instead of thinking of everything you should be doing as you’re driving you just do it –automatically! And when you’re making a putting stroke you need to use your subconscious mind as well. If you want further help to become a great putter simply go here.